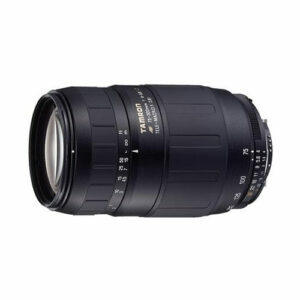 Lens Description: A lightweight, compact telephoto macro zoom with a maximum magnification ratio of 1:3.9. Excellent background blur to highlight the main subject in protraiture. Subjects as close as 4.9\' can be shot at all focal lengths. LD (Low Dispersion) glass is incorporated with the lens, resulting in clear sharp images free of chromatic aberration.